With effect from 4th December 2011, new legislation for Operators’ Licence holders came into effect. Whilst Britain’s OL system is already highly developed, this new legislation will bring the rest of Europe up to the same standards but your OL could be under threat if any of the Seven Deadly Sins are committed. The legislation applies to all drivers operating under an OL but it is the actual OL holder who is responsible for ensuring that none of the sins are committed. So, what are the Seven Deadly Sins? 1 Exceeding the 6 or 14 day driving time limits by more than 25% and/or the daily driving time limit by more than 50% without taking a break or without an uninterrupted rest period of at least 4 ½ hours. 2 Not having a tachograph and/or speed limiter, or using a fraudulent device able to modify the records of the recording equipment and/or the speed limiter or falsifying record sheets or data downloaded from the tachograph and/or the driver card. 3 Driving your vehicle without a valid certificate of roadworthiness, if such a document is required, and/or driving with a very serious vehicle defect that would create an immediate risk to road safety that leads to a decision to immobilise your vehicle. 4 Transporting prohibited dangerous goods, or transporting goods in a prohibited or non-approved means of containment, or without identifying them on your vehicle as being dangerous goods, thus endangering lives or the environment to such an extent that this leads to a decision to immobilise your vehicle. 5 Carrying passengers or goods without holding a valid driving licence or Community licence. 6 Driving with a falsified driver card, a driver card that is not held in your name or a driver card that has been forged or obtained on the basis of false declarations. 7 Carrying goods exceeding the maximum permissible laden mass by 20% (where the permissible laden mass exceeds 12 tonnes) or by 25% (where the permissible laden mass does not exceed 12 tonnes). Sin 4 and 7 will only rarely apply to the PSV industry, but what are the implications of failing on any of the other 5 sins? Take number 5; a “valid driving licence” means that the licence must not have expired, is appropriate for the vehicle being driven and for those who passed their PCV test on or after 9th September 2008 a valid Driver CPC must also be held. 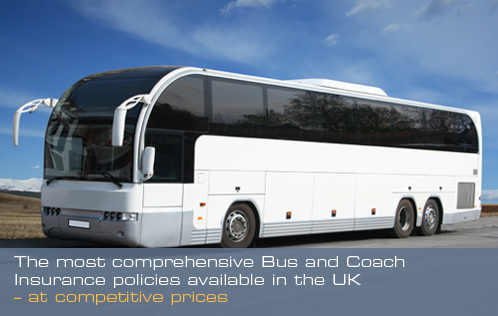 This will apply to all PCV drivers from September 2012 so it is essential that all drivers complete their periodic training by this date. If you commit one of the Seven Deadly Sins then you will lose your “good repute” and run a high risk of losing your OL. It would be up to you, as the operator, to prove to the Traffic Commissioner why you should keep your licence. Please feel free to call Steve Halliday on 0800 980 3425 or 07875 743 271 for advice or assistance.